Helping our producers get the most return on every acre is accomplished through many strategies and tactics. One of those tactics is deciding the right seed that fits your operation. The agronomy team is fortunate to have strong products that they can stand behind. By using these names, we at Viafield can help you increase yields. Need help deciding what seed is right for you? Check out information on Answer Plots. To learn more about Answer Plots CLICK HERE. To view photos from the Charles City Answer Plot CLICK HERE. CLICK HERE for more information about Dekalb®. Every field is unique, with its own needs, requiring different hybrids and varieties, seed care and crop protection products. No one understands the importance of customized, tailored solutions better than your NK Seeds retailer. What's successful for one field may not yield for another. That's why your NK Seeds retailer-backed by the unparalleled resources of Syngenta-helps you create a customized seed, seed care and crop protection package just for your acres. When results are what matter, get solutions that exceed expectations. CLICK HERE for more information on NK® Seeds. On the farm, Mycogen Seeds yields results. And now the same goes for finding hybrids specifically for your farm. Mycogen Seeds - yielding results for nearly 30 years. 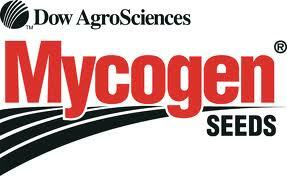 CLICK HERE for more information on Mycogen Seeds®. For three decades, Stine Seed Company has been changing the face of agriculture. From our industry-leading soybeans, to our unique line of high-performance seed corn, and on through to our unique approach to the science of seed, Stine continues to deliver on the Stine Has Yield promise. CLICK HERE for more information on Stine Seeds. We recognize the impact a whole-seed-technology package has on your profitability, and our extensive research has been successful in the development of the right seed matched to growers' specific growing conditions. We pledge to offer only the most innovative seed products and deliver first-class customer service. Whether it's corn, soybeans, or alfalfa, expect high-yielding hybrids and varieties from a partner dedicated to your success. CLICK HERE for more information on Praire Brand Seeds.